panel, offering complete entrance control solutions. 2. Bi-directional passing or single way passing. 3.Equipped with LED directional indication / status lights. 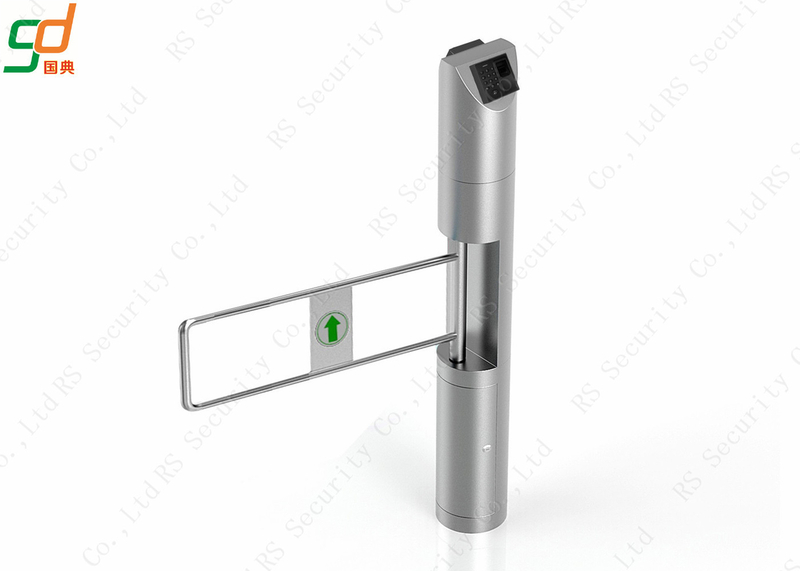 5.In the case of power failure, the rotating arms open automatically to ensure unblocked access. again (until it is reset) after defaulted time delay and the strength is small (≤2Kg). 7.Rotating arm is locked automatically before receiving an opening signal. 9.Highly durable design ensures the life span more than 5 million cycles.